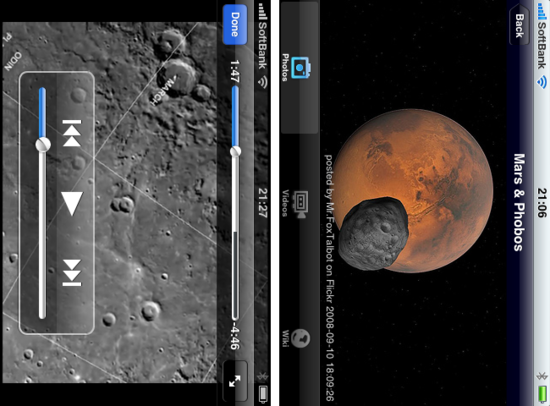 iPhone app: iSolar System, eye-opening space world：Quantis,Inc. 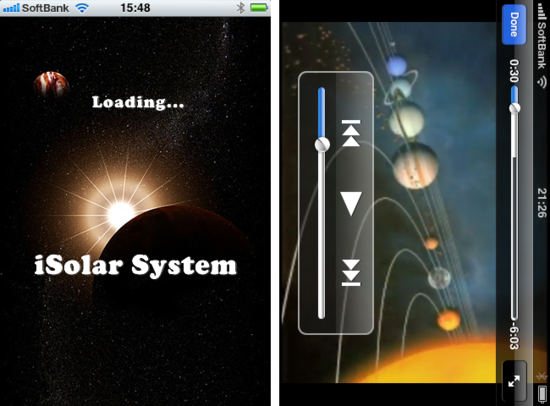 Explore our Solar System on your iPhone! 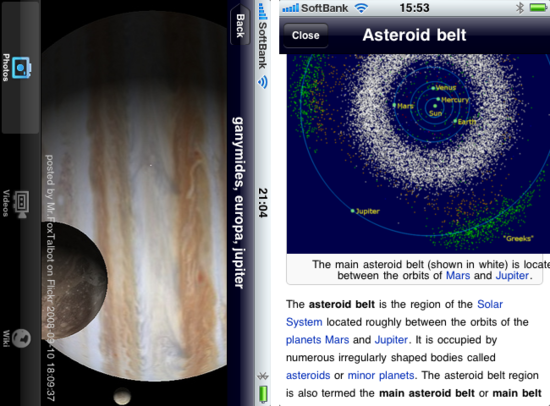 You can enjoy tons of astronomical photos, videos and data library. 1) High resolution Solar System photos. 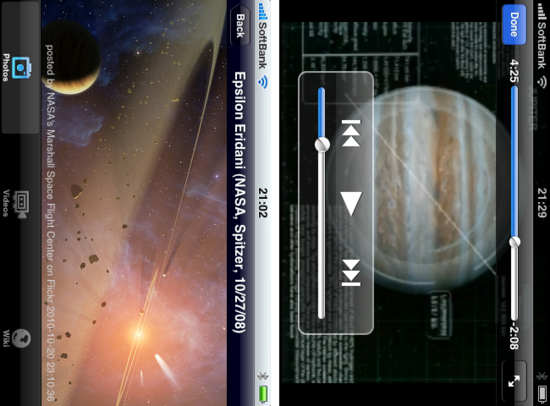 2) Astronomy videos with YouTube player. 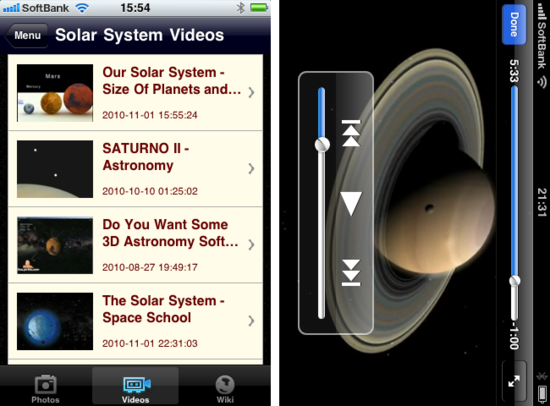 3) Solar System wiki data library. 4) Contents are updated regularly. Click here to access iTunes App Store, and download the app now! iSolar System requires internet connection.